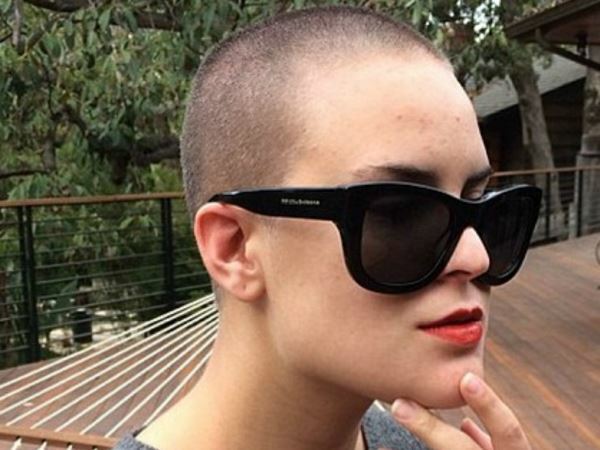 Tallulah Willis says mother Demi Moore inspired her to shave her head. The 21-year-old star hit headlines late last year when she unveiled her drastic makeover. And now Tallulah has revealed in a new interview her mother’s 1997 film G.I. Jane led to her thinking about shedding her locks. "I thought, if I could feel beautiful with no hair, then I will literally feel good in any situation,” Tallulah told Nylon magazine. "I actually watched G.I. Jane two days before I shaved my head. I don’t think I was 100 per cent inspired by it, but I think it may have manifested the idea in my mind." Tallulah, who has sisters Rumer and Scout, grew up in the spotlight as her mother is Demi and her father, Bruce Willis. And she admitted in the publication that having such famous parents gave her something of an unusual upbringing. "[There was an emphasis on] being hidden," Tallulah said. “Not because we had anything to hide, but because my parents wanted to protect us." Since coming of age, Tallulah has become something of a social networking regular. But she admits she finds it amazing that some things she posts on the Internet become news items in their own right. “Now I don’t have a conscious thought process of like, 'I’m putting something out there that is shocking or not shocking,'" she said. "I did this video one night and I was looking normal, and then I made this weird face because I thought it was really funny. But then I was like, ‘Damn, I can’t believe Daily Mail just posted that.'"